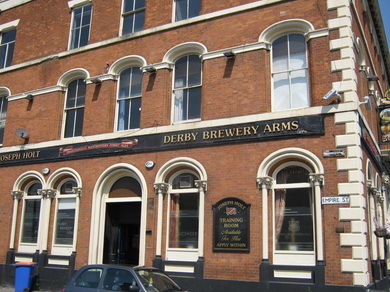 If you need to obtain a Personal Licence, please call us to book a place on The Award for Personal Licence Holders course (APLH) course which will be held at The Derby Brewery Arms in Manchester. In addition, we offer a comprehensive portfolio of training courses including The National Certificate for Designated Premises Supervisors, The National Certificate for Licensing Practitioners and The Award in Responsible Alcohol Retailing. Our experienced trainers deliver these courses from our training centre in Manchester or we can provide in-house courses at your choice of venue. We are dedicated to supplying the knowledge and understanding needed to meet the demands and qualifications required by the alcohol industry which we achieve by providing relevant courses and on-going support for the professional development of our candidates. We can tailor our courses to suit your needs and supply distance learning courses for candidates who are unable to attend for the full day. In addition, we have introduced our self-select "date to suit you" courses. Our courses take place over one day, we can tailor our courses to suit your needs and we also have a distance learning course for those that struggle with time.